Taiwan is fast becoming a custom bike hotspot. Rough Crafts have been wowing us for years, with outfits like Onehandmade close behind. Now we’ve stumbled upon another gem: 2LOUD Custom. 2LOUD is the one-man operation of Ma Yicheng, known to his English friends as Max Ma. 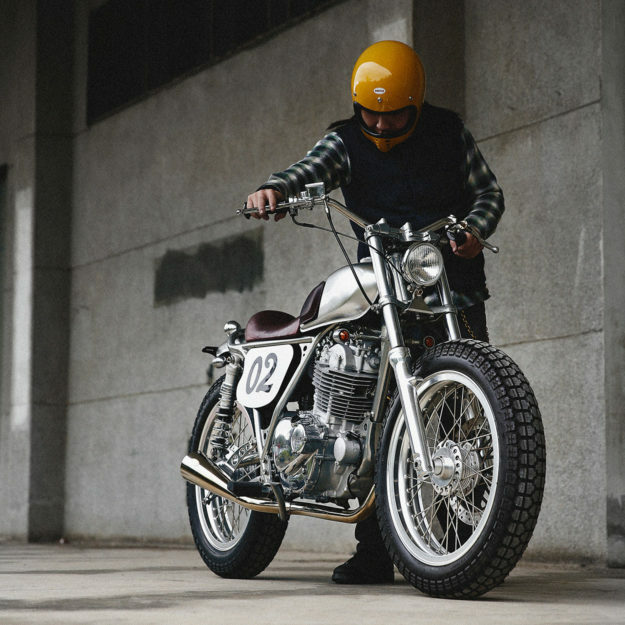 His handcrafting skills are sublime: he won a national competition at the age of 19 for sheet metal shaping, and luckily for us, a passion for motorcycles soon followed. 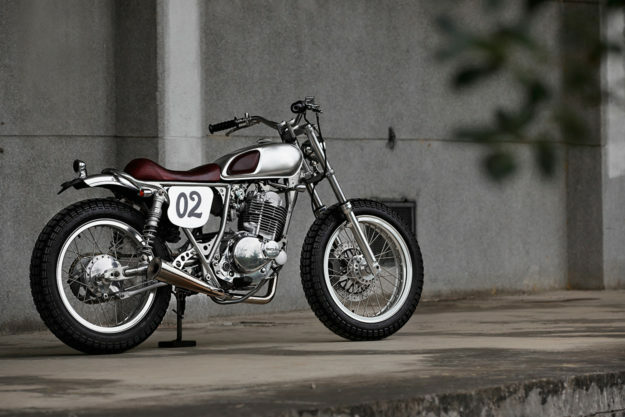 Everything we’ve seen from his Taipei workshop has been handsome, but this Suzuki TU250 is especially irresistible. 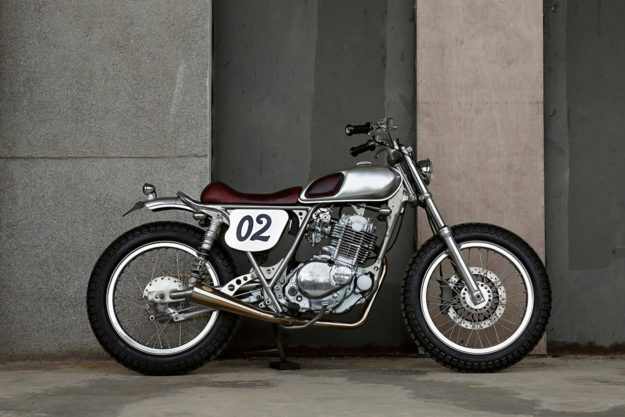 Originally launched in 1994, the TU250 is effectively a little Universal Japanese Motorcycle—as humble as they come. But Max saw its potential, and he’s extracted every last ounce of charm and style. 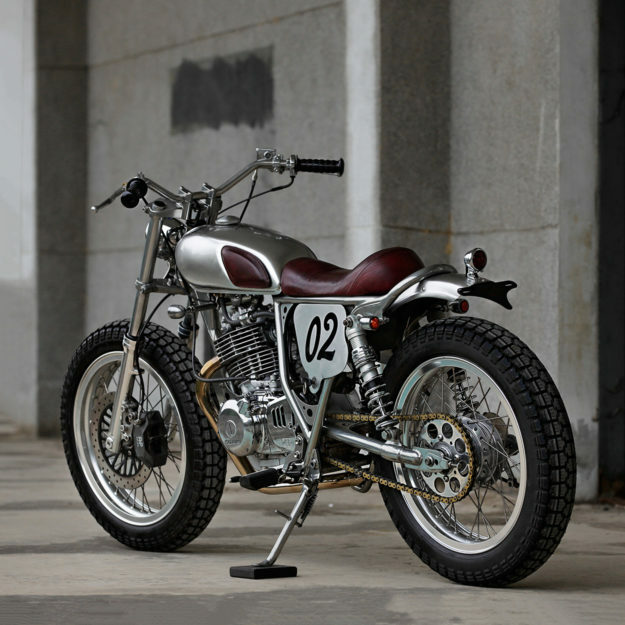 To slim the little ‘zook down, Max replaced the fuel tank with a smaller Honda CL50 unit, massaging it to fit the frame. He also redid the subframe, topping it off with an abbreviated custom-made seat that reveals the new rear loop. Other new gear includes new rear shocks, 18” aluminum rims front and back, and a front brake from AP Racing. There’s a hand-made fender out back, and off-the-shelf running lights in all the right places. The control area is super-sano—with flat track bars, no speedo, and mini switches on the left side only. The ignition’s been relocated too, and now sits in the new left side cover. Max’s handiwork is sprinkled throughout the bike, with the front brake caliper mount, gas cap, fuel tap and headlight bracket all coming from his workbench. Neat little touches are everywhere—like a small ‘2’ cut out of the license plate bracket. 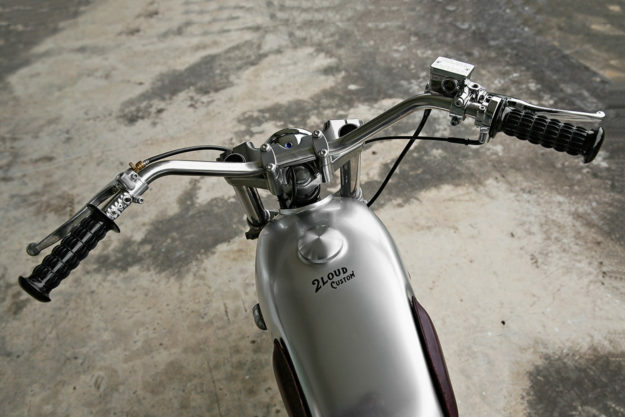 The exhaust system is custom-made too—its muffler hanging off a gorgeous drilled bracket. There are even new gussets in the frame triangle, sporting a similar effect. To add extra sophistication to the build, Max opted to finish everything in raw, polished or silver hues. 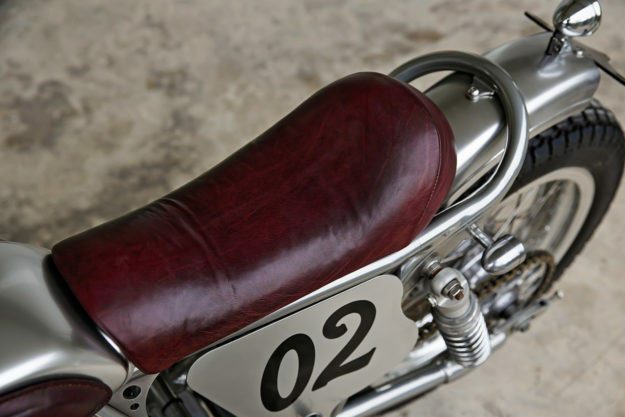 The leather seat—and matching tank kneepads—are the only break from the monochrome scheme. Max’s TU250 an exercise in taste and craftsmanship, but it’s also got us thinking about the economics too. 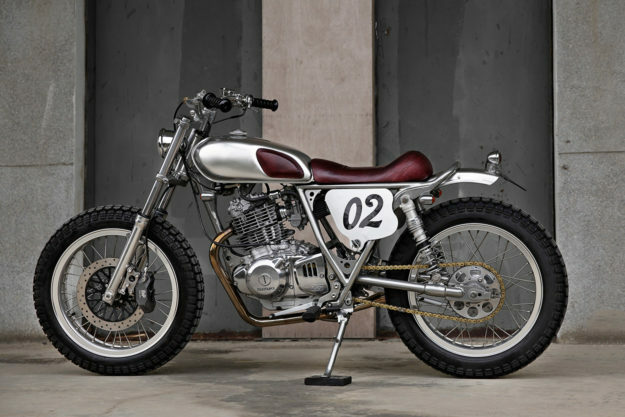 You can pick up a late model TU250 in the States for about three large … which leaves a fair bit of cash left over to turn it into something special.